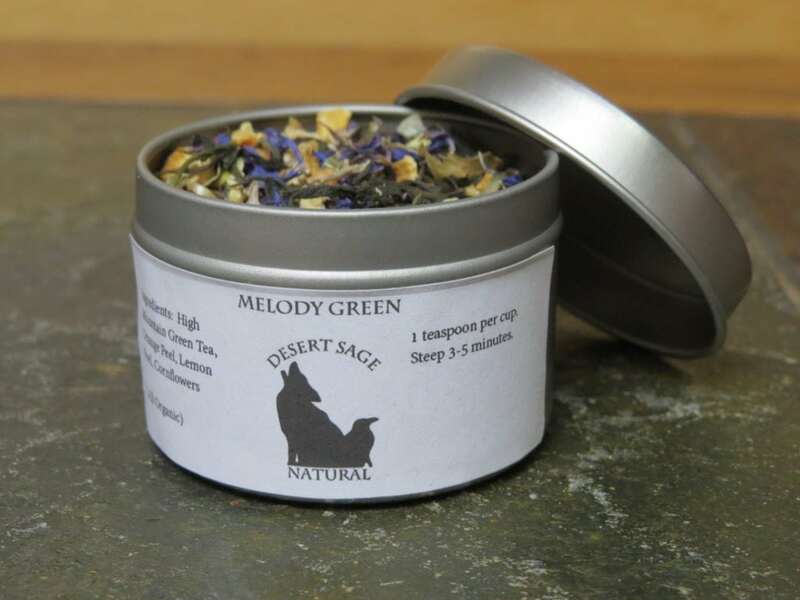 ‘Melody Green’ was blended due to our desire to keep our Whovian black and green tea offerings equal. Sometimes this means creating another flavour, sometimes the taste we initially created will lend itself equally well to the other tea. 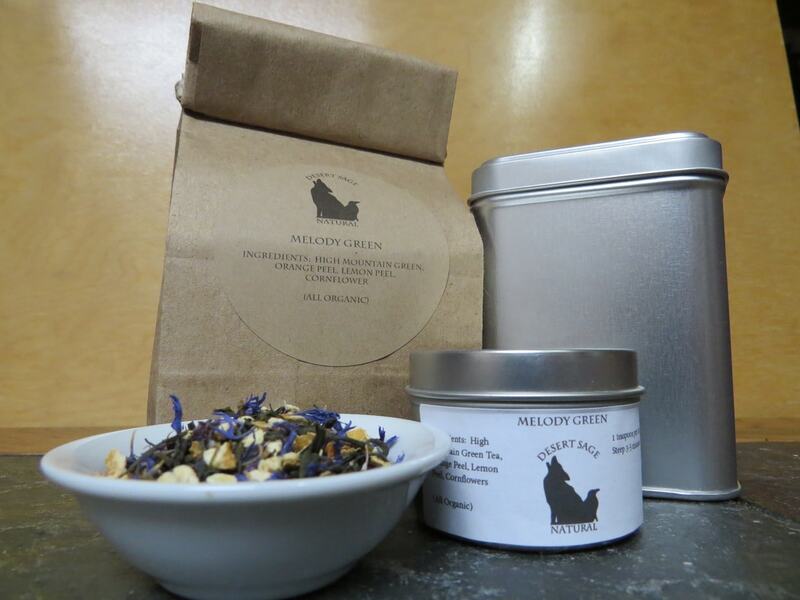 The partner tea, ‘Melody Grey,’ was made to replace a favorite tea I could no longer drink. Mister Tea and I thought on it, and figured the ‘extra’ flavours would translate well to a green. We were right, the citrus and floral work quite well with the green tea. This entry was posted in Floral, Fruit, Green Tea, Simply Tasty Teas, Things We make (Tea, Coffee, Cocoa) and tagged Desert Sage Natural, Doctor Who Tea, Floral Tea, Geek Tea, Organic Cornflower, Organic Fruity Tea, Organic Green Tea, Organic High Mountain Green Tea, Organic Lemon Peel, Organic Orange Peel, Simply Tasty Teas, TV Series Teas, Whovian Tea by DesertSage. Bookmark the permalink.